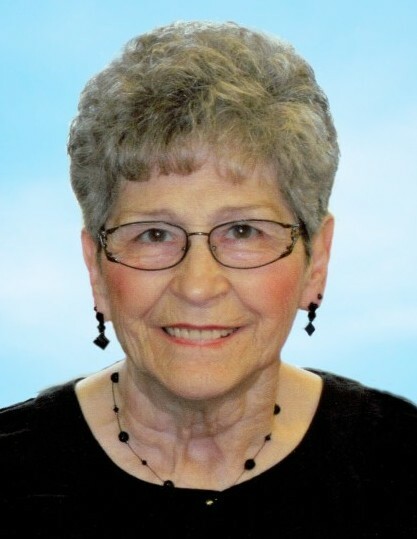 Eva Boman, 82, formerly of Alvarado, MN, passed away on Tuesday, May 1, 2018, in North Valley Health Center, Warren, MN, with her family by her side. Eva Lucille Kliner, with her twin sister, Ethel, was born on June 23, 1935, to Henry and Albina (Holy) Kliner, in Crookston, MN. She grew up in Euclid and attended country school there before graduating from Warren High School. After having known him for a year, Eva was united in marriage to Alvin E. Boman, on July 14, 1954, in St. Mary Catholic Church, Euclid. The couple made their home in Alvarado, MN, where they raised four sons. She worked various jobs over the years. Eva and Alvin owned the Friendly Tavern for several years. She was an active parishioner of St. Joseph's in Oslo and in their later years, Eva and Alvin moved to Warren, where they were members of Sts. Peter and Paul. She was a sports fan who never missed her son's basketball games. Eva was also an avid Twins fan. Eva is survived by her husband of over 63 years, Alvin; sons, Randy (Kathy) of Alvarado, MN, Gary of Richland, WA, Rick (Lorraine) of San Diego, CA, and Troy (Linda) of East Grand Forks, MN; twelve grandchildren; twenty-five great-grandchildren; twin sister, Ethel (Theodore) Safranski; sister, Gladys Stroot; and many nieces and nephews. In addition to her parents, Eva was preceded in death by her grandson, Jeremy Boman; siblings and their spouses, Henrietta and Elmer Filipi, Adeline and Howard Filipi, Charlotte and Bill Severson, Harvey and Dorothy Kliner, and Agnes and Johnny Eidelbes; and brother-in-law, Francis Stroot. MASS OF CHRISTIAN BURIAL: Friday, May 4, 2018, at 10:30 AM, in Sts. Peter & Paul Catholic Church, Warren, MN. INTERMENT: Calvary Catholic Cemetery, Warren, MN.